About Us - Fences Etc. 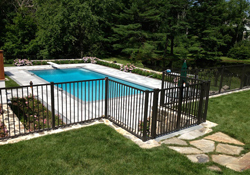 For over 35 years, we have been going above and beyond to bring our customers the well-built fences they need in the Greenwich, CT area. Whether you’re looking for aluminum, cedar, or vinyl fences, we’re the ones to call. There’s a reason we’ve been in business for this long and it’s because we believe our customers’ needs come first. Whatever type of fence you’ve been envisioning to complete the look of your property, let us know and we’ll work to bring it to life! When planning out the type of fence you want, it’s important to first know the look you’re going for. Our professionals at Fences Etc. are prepared to assist you with ideas and planning every step of the way during this home project. We work with you rather than separate from you and aim to keep you informed throughout the project.